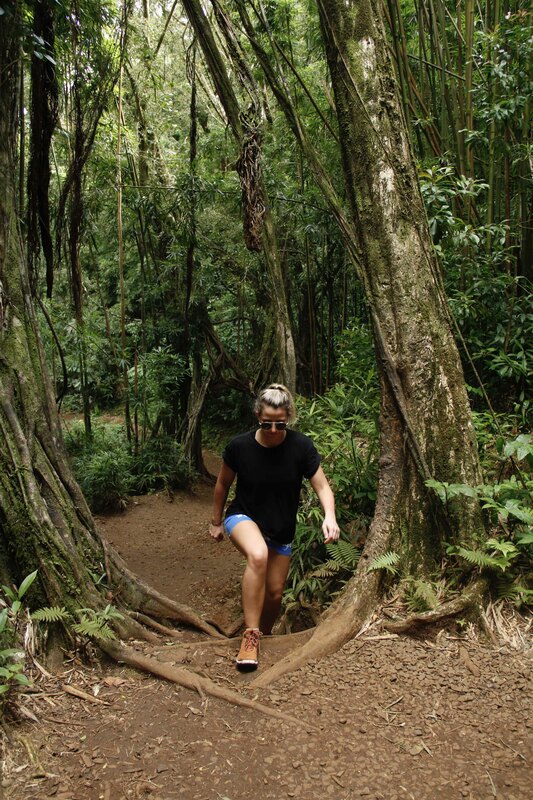 Jordan Kretchmer unlocks the true beauty of Oahu’s pristine beaches, tangled forests and rocky coastal cliffs with her list of must-visit hiking trails. The Hawaiian island of Oahu is home to rollicking surf spots, pristine beaches, tangled forests and rocky coastal cliffs. 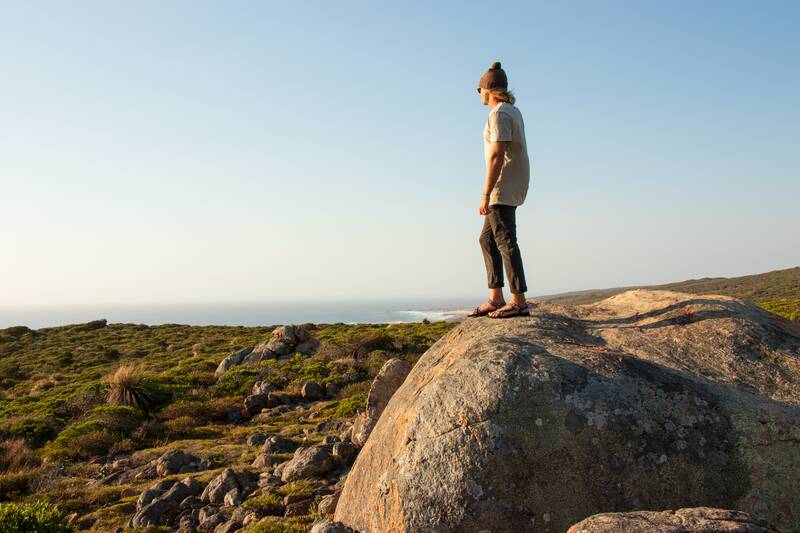 But for unparalleled views of the island’s true beauty, you’re going to want lace up your boots, load up your day-pack up and head up one of these top trails scattered around the island. This hike uses a disused military rail track as steps up the steep face of the Maunalua Bay crater. Parts of the trail a little sketchy – think uneven cliff edges, minimal rest spots, little-to-no shade and parts, which are easy to fall through – so take your time and go early if possible to beat the heat of the day. The final ascent up to the peak is a truly heart pumping climb, however once at the top you’ll be rewarded with a serious sense of accomplishment, some high-fives from other hikers and stunning views. The old concrete bunkers make for a good pit stop and a photo opp. 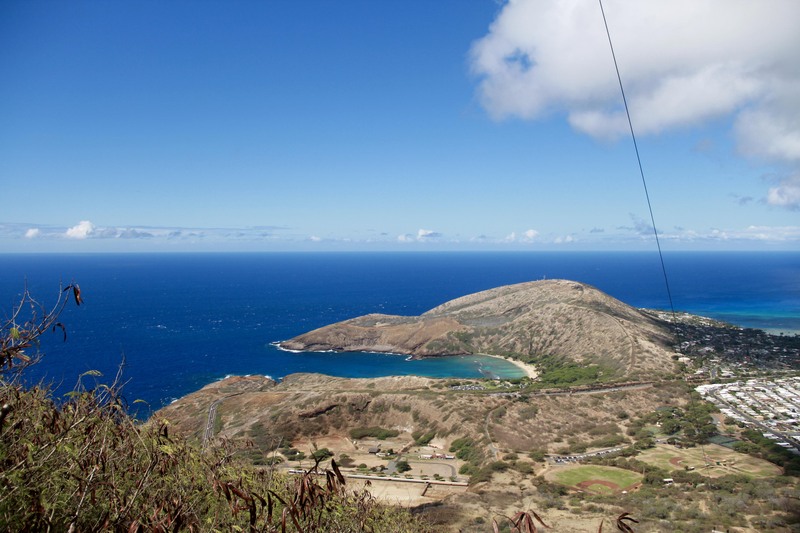 Post hike: Go for a snorkel at Hanauma Bay (which you will have seen from the summit). After walking for just a few minutes on this relatively easy trek you’ll be greeted by a panoramic landscape that looks like a scene out of Jurassic Park: there’s layers of lush palms, magenta ginger blossoms and towering trees. Over the next 2.6 kilometres you’ll be beguiled by the constantly changing scenery: tangles of vines narrow in to create natural doorways before widening again with moss-covered trees lining the paths. The final waterfall is around 46 metres high and flows quicker after rain, but it’s still beautiful, even in drier months. While there’s a small pool of water at its foot, respect the land and enjoy the cascading trickles from nearby, not underneath. Post-hike: Enjoy some retail therapy at the nearby Ala Moana Shopping Centre. If you want to see the most impressive aquamarine oceans in Hawaii (and possibly in the world) this hike should be at the top of your to-do list. 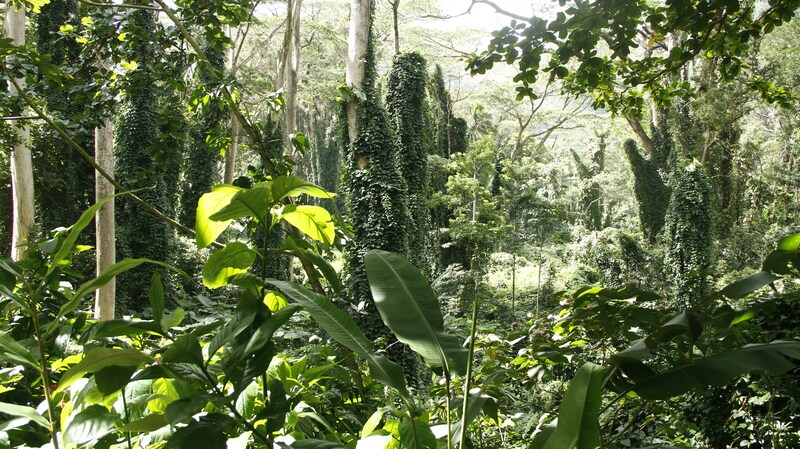 The 90 minute round trip hike is a moderate hike through dry scrub up the landward side of the Kaiwa Ridge. 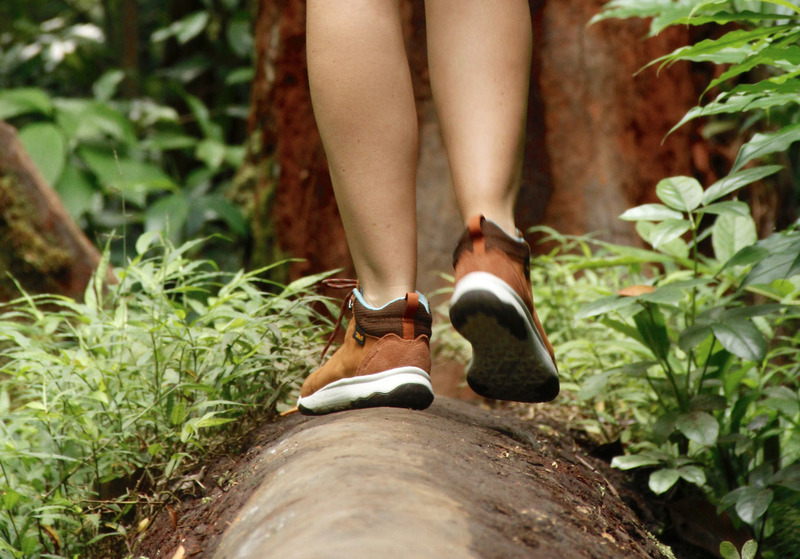 It’s a steep and uneven ascent to begin with so make sure you’ve got appropriate, comfortable footwear. 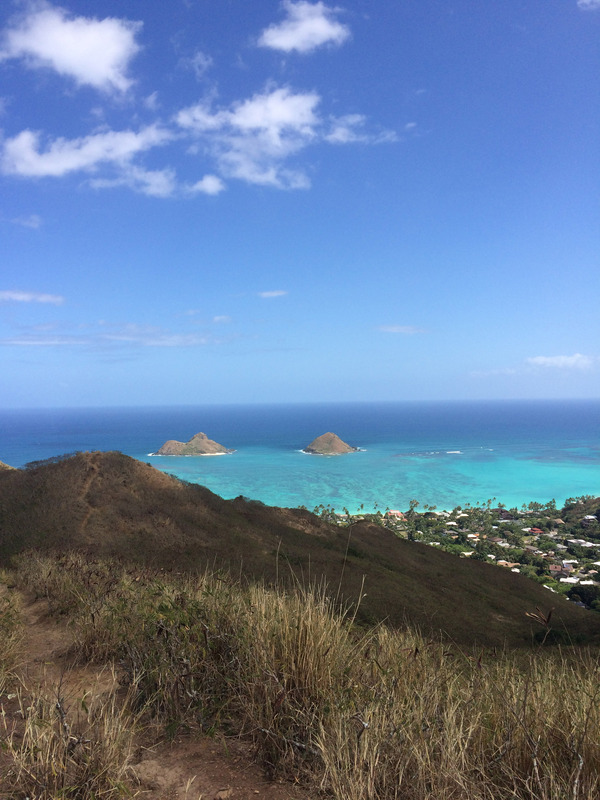 You’ll reach the first Pillboxes after around 35 minutes, but the make sure you continue onto the later ones, which provide better views. The concrete bunkers are smattered with colourful graffiti, which contrast against the oceans and flickering palms below. Post-hike: Head down to Lanikai beach and cool off with a swim. 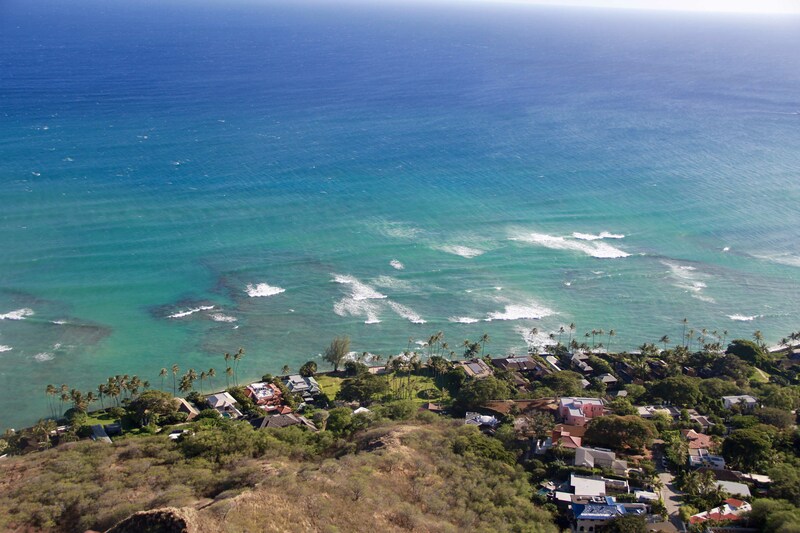 Last but not least is Hawaii’s most iconic headland – Diamond Head. 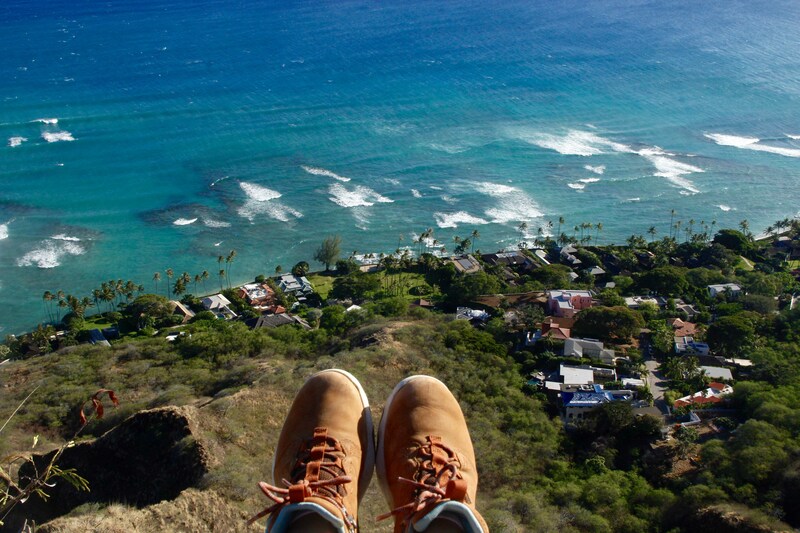 The craterous mass dominates the scenery of Waikiki beach, and while being below it on the beach is beautiful, scaling it is a must do. It’s a relatively easy 35 minute ascent, which you’ll find busier than most thanks to its accessible location and well paved paths and steps. On your way you’ll spot slinking mongoose, red crested cardinals and at the summit you have stretching views back to Waikiki. Post-hike: Head down to Banan Bowls at Waikiki beach and enjoy a soft serve of acai and banana topped with crunchy coconut flakes.